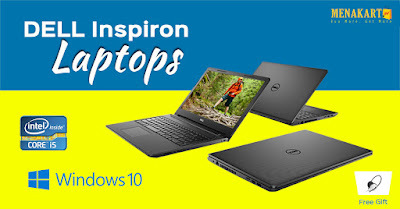 Work or play, the Dell Inspiron 15 has the power and speed to get the job done. A 6th Gen Intel Core i5 processor, 8GB of memory, and huge 1TB hard drive are great for heavy-duty multitasking, while a 15.6-inch Full HD display delivers a razor-sharp view for movies, games, and everything in between. All that plus the revolutionary gesture-controlled Intel RealSense 3D camera.